Medal logoThe visual data of the medal logo is provided free of charge for one year. Also the purchase of the printed medal sticker is available. 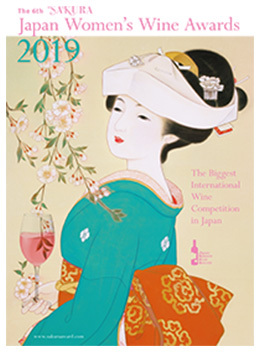 Award winning wines are exhibited at FOODEX Japan 2019All award winning wines are exhibited at the main gate of FOODEX Japan 2019 over the 4-day event, where 76,000 visitors are expected. 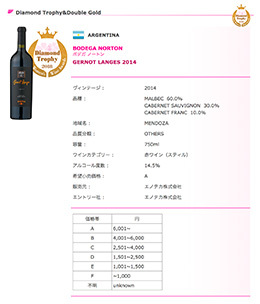 Official BookThe award winning wines are listed in the official Book, which is distributed at FOODEX JAPAN 2019 and various retail stores. It makes an opportunity for unreleased wines in Japanese market to be found by future business partners. Online information of the award winning winesThe details of all the award winning wines are placed in the website. Anyone all over the world can find the information.